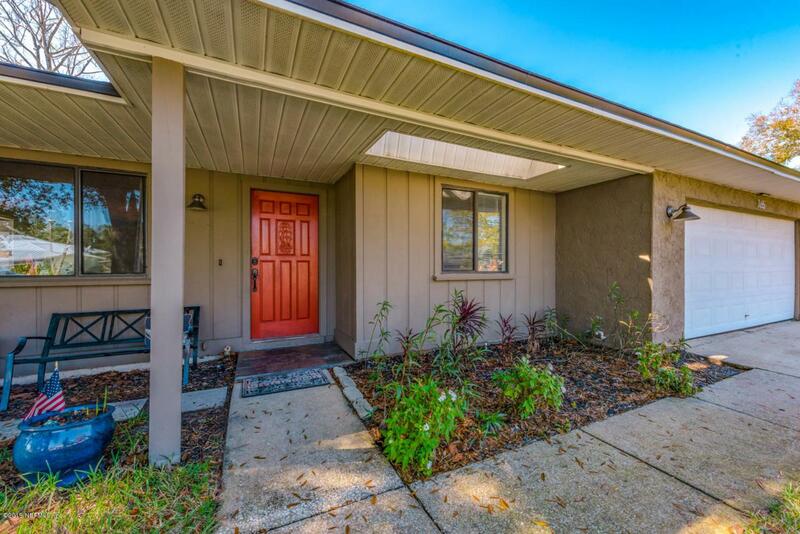 Welcome home to this outstanding concrete block family home featuring four bedrooms, two baths, and fully-fenced backyard. An inviting covered entry leads to an open floor plan that is great for entertaining. The well-appointed gourmet kitchen features granite counter tops, custom cabinets, stainless appliances, stone backsplash, ceramic tile floors, and a California style snack bar that adjoins the dining area and family room with direct access to the expansive deck and private backyard.The master suite offers a walk in closet and an upgraded ensuite bath with walk-in shower. This one story design split plan home is further enhanced by three additional bedrooms, a conveniently located guest bath and a two car garage. Recent upgrades include new roof (2013), new air conditioner (2016), and a newly remodeled kitchen and bath. No CDD and low HOA fees. 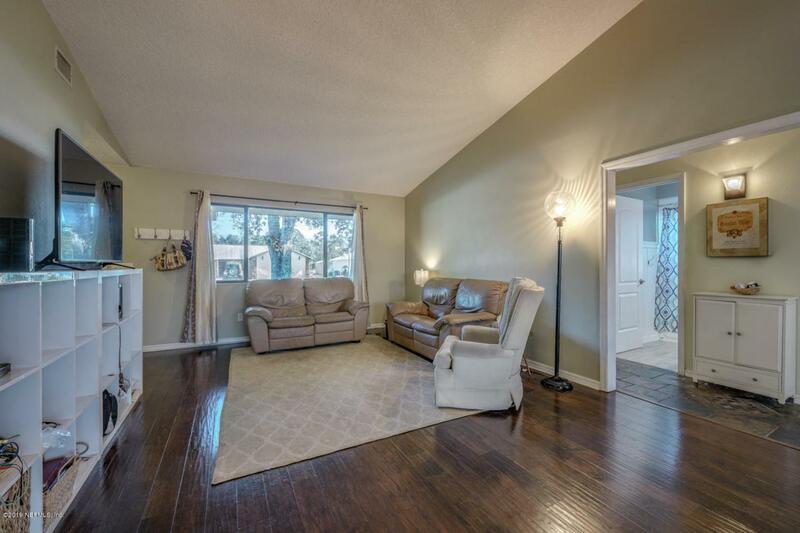 Additional interior upgrades include wood floors, slate tile floors, ceramic tile floors, large bay window in family room, ceiling fans throughout, and wainscoting in two bedrooms. Entertain friends and family on spacious deck and enjoy the beautiful sunsets. Additional exterior features include irrigation system, plenty of parking and a flagstone walkway. 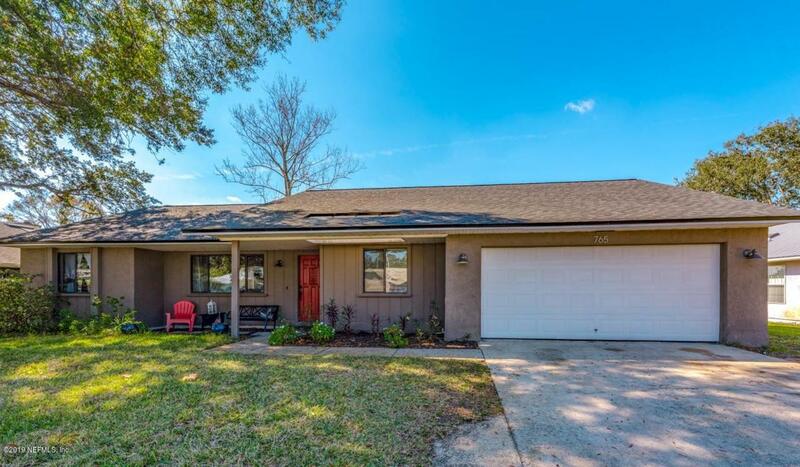 St. Augustine Shores is an established golf course community nestled in the southern area of St. Augustine and is conveniently located to the beaches, A-rated schools, shopping, hospitals, and historic downtown. 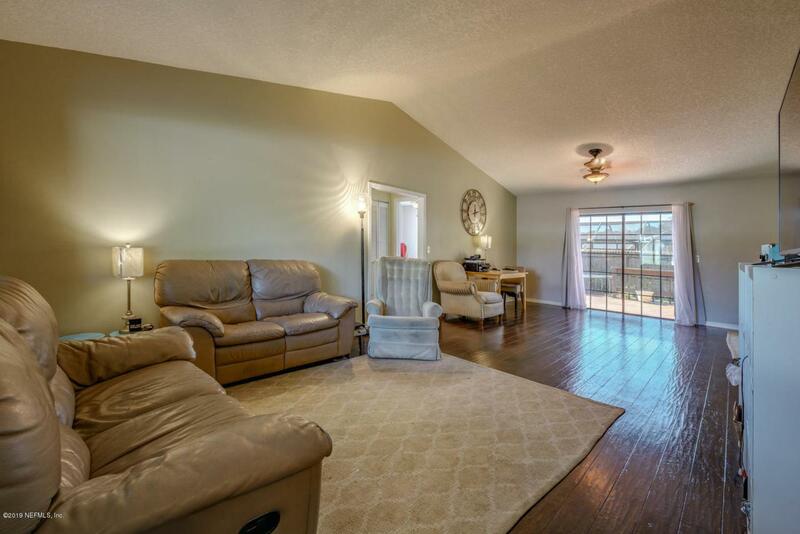 Community features include waterfront recreational building, pool, park, picnic area, volleyball, sports field, ballroom, game room, library, gazebo, fishing dock, and the St. Augustine Shores Golf Club.